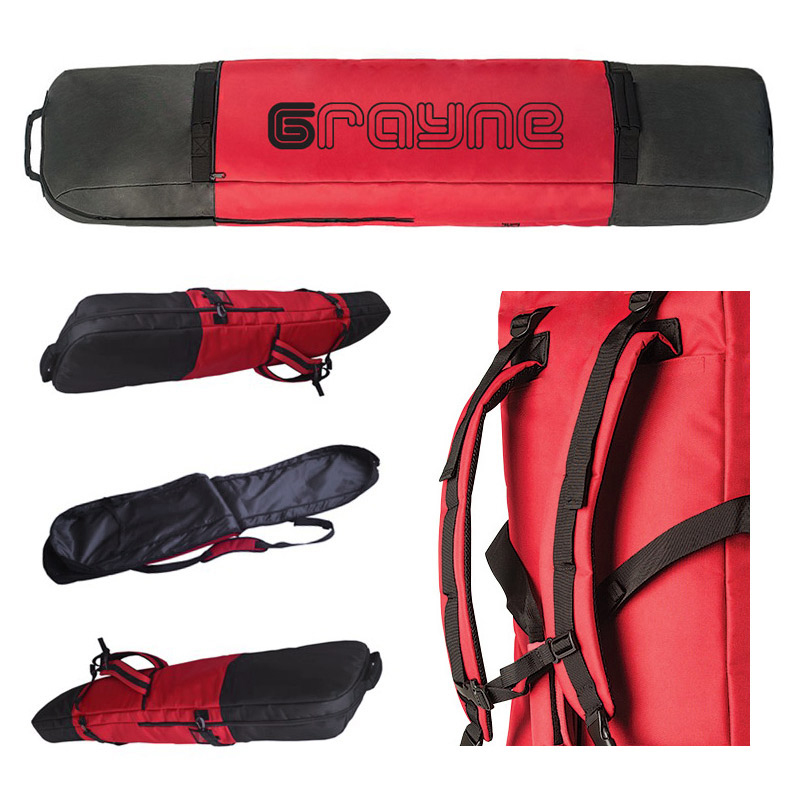 Grayne’s Fully Padded Tour Snowboard Bag is the ultimate high-end bag on the market. The Tour features a full 360 degrees of premium plush padding. This foam is then wrapped in a double-stitched ballistic nylon exterior providing durability and added protection. The large main compartment fits your complete setup of board, boots and bindings all the way up to 170 cm with an added interior retention strap to keep everything in place. A massive exterior accessories pocket easily accommodates your gloves, goggles, jackets, pants, tools or whatever else you may have! The Tour also has three separate padded handles for basic quick grabbing and transport. A removable and stow-able padded shoulder strap makes getting from the car to the hill a breeze. And if you plan on touring, exploring the backcountry or simply want the easiest way to carry your bag, the Tour has a hidden backpack built directly in. And, of course, the Tour carries Grayne’s three year warranty ensuring season after season of performance.